A powder coating provides a highly durable finish on all sorts of products. The finish will outlast other types of finishes since you bake it onto the surface. In addition, powder coating provides a higher resistance to damage from impacts, solvents and other influences that may harm other finishes. Powder coatings come in a variety of textures and colours. In addition, the coating is available in clear, matte, high-gloss, low-gloss versions. Once you process the powder-coated items in the curing oven, the finish is scratch, chip and fade resistant on top of all the above benefits. Powder coating also is non-wasteful since the excess powder is reusable and unlike certain liquid products for applying finishes, it is non-polluting for the environment. Since this coating is so long lasting, it also is a cost-effective finish for items. 1. Pretreatment setups that include stainless steel tanks and risers along with fibreglass walkways, an extraction system and internal lighting. Pumps with valves also are part of these setups for maintenance and isolation purposes. 2. Powder-coating booths of stainless steel made to the client's exact specifications. Booths such as these provide a unique atmosphere in which to apply the powder coating in to decrease issues. We also offer powder recovery through the Cyclone for the excess powder that the booth releases during the application process. The powder is reusable as long as it goes through a sieve first. 3. 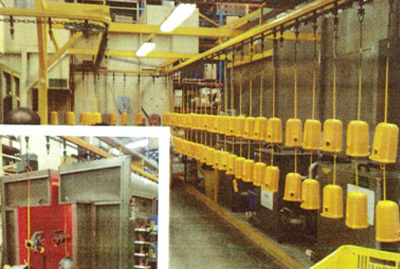 Dry-off ovens are a necessity for the process of powder coating. We provide ones that offer air at high speeds to evaporate excess moisture sufficiently through a variety of air changes. All systems for powder coating should include at least one of these ovens. 4. A cure oven is another essential component in a system to apply powder coatings to items. After you apply the powder to an item, it must cure in this oven at the proper temperature to transform the powder into a durable finish. The oven burner is designed to minimise the loss of heat since it is a suction-cone design. The oven also comes with air curtains. 5. Spray equipment is another component that we provide with our system for powder coating. In addition, we also carry all the supplies that go along with this equipment. 6. 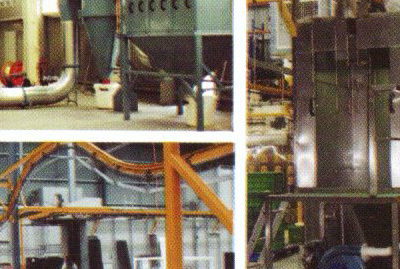 If you require a conveyor system, we supply overhead ones for your needs complete with power. 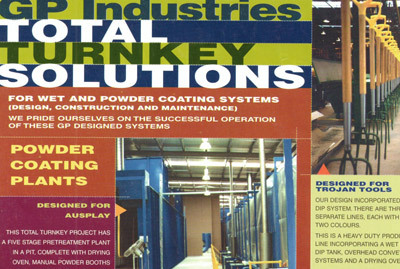 Explore how your products will benefit from treatment by a powder coating system today. You will learn quickly how high quality this type of coating is for products.